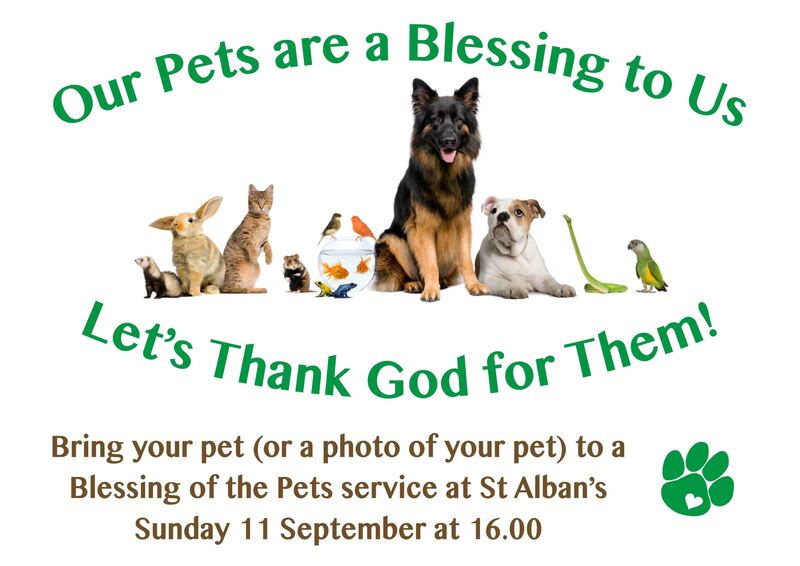 A ‘Blessing of the Pets’ service will be held at St Alban's Church on Sunday 11 September at 16.00. This is the first time that such a service has been held at St Alban's, so please come along as we thank God for those pets which bring such joy into our lives. Bring your pet, or a photo of your pet. You can download a poster / flyer in PDF format here and help us spread the word about this very special service. which fill your world. May we think of you and thank you when we play with and care for our pets.